We've loved getting to watch Nixon play some baseball. Miss Britt is a trooper at baseball games. As long as she has a snack, this girl is GOOD! And her snack preference is popcorn. The weekend before Spring Break, Shay hosted our Bible Fellowship girls for a night of appetizers and desserts along with a Favorite Beauty Product Exchange. We were all supposed to bring a beauty product ($15 limit) that we loved for a little Dirty Santa style exchange (you know the kind where you can steal the gift from others). I took cash with the instructions for the recipient to purchase themselves a Play Box by Sephora. I've talked about the Play Box by Sephora before, but I'm about to do it again. This month I received a Buxom lip liner, a Sephora powder foundation, a Lancome make-up removing cleanser, Verb Ghost Oil, and Murad's SPF sunscreen and primer combo. All of that to try and sample for $10! If you're needing a great gift for a girl who likes trying new products, this would be perfect. I've mentioned before that I loved getting my Birchbox, but often times that box had products I could only order online through Birchbox. I really like this Play Box because the products can all be found in store at Sephora and many are found in department stores as well. On that note, every month around the 20th, I start looking forward to my box. And any other online orders I've purchased. ;) Anyone else? I can also get pretty excited about my groceries getting delivered too. haha! 1. Look how high my hair is. I'm hoping that's due to the winds? 2. Britt made a little friend and kept hugging him. She thought she was too funny. 3. Photo credit goes to Bowen Slaughter. I'm telling you-she was REALLY proud of herself. My sister-in-law made a last minute trip through town the Friday of Spring Break. We were knee deep in mounds of laundry so a quick break to meet them was exactly what we needed. We met up at Obstacle Ninja Warrior. Britt almost had the little kid area to herself so she was all about this trampoline. On this day, Britty was hanging out at M's house coloring AND snacking on Cheetos. She was living the life! I know I've mentioned before that Shay and I carpool. Miss Madeley is a good time. ALWAYS. Do you have the Chatbook app? If not, you should think about grabbing it. Chatbook sends you a book full of your Instagram posts as soon as you have a full book. We just received a couple in the mail and this one in particular was all about our China trip. We recently attended the cutest little unicorn parties for two of our favorite little girls. Ebby Lee got asked to face paint and to be honest, I was a bit nervous. BUT...you guys I should have taken a picture of her unicorn. She has some face painting SKILLS! Bowen had asked for a sword. Bowen had his first tee-ball game of the season on Saturday. This year is SO much better than last year. He just GETS it so much more. He had the best time and that's what it's all about. I wore this dress on the Disney Cruise and bought it from a local boutique in McKinney, but I just found it on Nordstrom's website! One more shot...I think it's super cute for spring and even summer! What's your food that you just can't quit? My snack of choice would be chips and salsa everyday BUT that just doesn't seem right. I'm having a THING with these Triscuits right now. Do you have a food like this? One you just can't quit? I hope you Easter bunnies out there have already done your shopping. I stocked up on spring things just last week...chalk, bubbles, goggles, etc. And I just added the ingredients for these Resurrection Rolls to my grocery order this week. They're the perfect way to help kiddos understand the resurrection in a super tangible way. I hope you enjoyed the Hot, Random Mess I had going on today! See you back here tomorrow for my LAST SPRING BREAK RECAP! I lol'd at your hair! I hope it WASN'T the wind. :) I have that black embroidered dress and love it. A shift dress with embroidery is my favorite. Aw, that picture of Britt’s smile after hugging her friend is the cutest thing ever!! So Sweet! Okay, someone just told me to buy the Amika hairspray. Have you tried that too? I'm so curious about the dry shampoo now as well! I just tried Dry Bar's dry shampoo mousse. It is specifically for roots, and I'm loving it so far. Smells great too! Those triscuits sound good, not better than chips n salsa but a girl can dream. Speaking of things I love to splurge on-the multi-grain Tostito scoops are SO much better than the regular! Try them out-you will be hooked! Give me all the hair and make up post! That picture of Britt all proud after hugging her friend had me smiling so big. Britt is too cute! Also, just wondering, where did you get the black slip-on shoes you were wearing in that photo? I've been on the search for something similar! Britt being all proud after hugging her friend had me smiling so big. She is too cute! Also, in that picture, where are your black slip-on shoes from? I've been on the search for shoes that like those! The food I can't quit right now?? CHEERIOS!! I'm not sure what the problem is but it's like I'm addicted! I have the Amika blow dryer and straightener and I love it! I got the Amika dry shampoo in my Sephora box a few months ago but haven't tried it yet! We are going to be doing resurrection rolls for the first time this year, and I'm so excited! And I LOVE that dress! 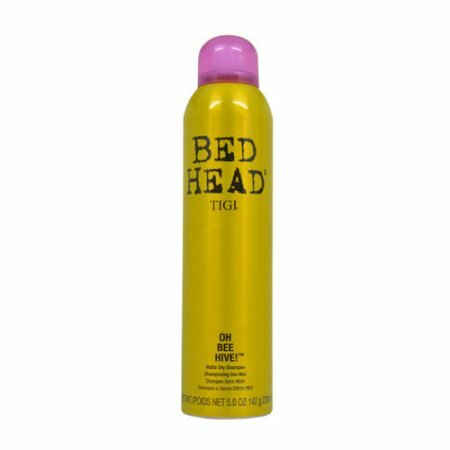 Try Moroccan Oil Dry Shampoo. 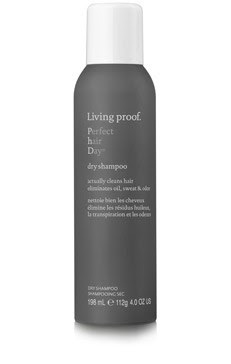 I have tried so many kinds of dry shampoo and this has been the winner for me. I love that it comes in light and dark too. Someone gave me the Amika dry shampoo a few months ago and I tried it and immediately ordered it. So good. I bought Triple Sec when I was in the States last week and I adore it. It’s like dry shampoo and volumiser (and something else, I guess?) in one. Obsessed.